Many people with HIV are not benefiting from the treatments and therapies that could help them live longer, healthier lives. Co-morbid conditions, social and environmental barriers, and a lack of coordination among care providers are among the factors that challenge their success in staying well. EDC is creating STEPS to Care, a simple, unified way for program directors, care coordinators, patient navigators, and primary care physicians to support clients at the highest risk of dropping out of HIV care. 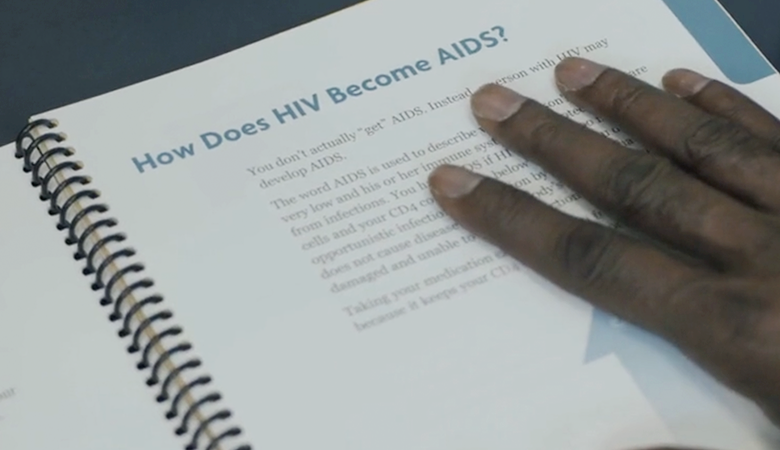 The STEPS to Care approach helps clients feel empowered to take charge of their HIV diagnosis and improves client services across the HIV/AIDS care continuum. Conduct a six-month pilot study with hospitals and community health centers in New York City and across the United States. To date, STEPS to Care has been pilot tested with over 200 people living with HIV in New York City. STEPS to Care e-Tools is a set of public health strategies for individuals at the highest risk of dropping out of HIV care. The STEPS website offers an accessible package of e-tools that provide technical assistance and other resources to support the implementation of the STEPS to Care program.